This hugely enjoyable British cruise includes the island outposts of Shetland, Mull, Lewis and the Orkneys, as well as Scrabster - Britain's most northerly port - and the great cities of Belfast and Dublin. There's also an inaugural visit to Holy Loch - the gateway to Lock Lomond and the Trossachs. Board Astoria to sail north from Tilbury. 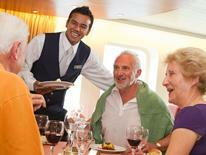 Settle into your cabin and enjoy your first dinner on board. Relax on board the ship as Astoria heads for Scotland. Astoria arrives in Kirkwall, Orkney's historic capital, today. Visit the town's magnificent centrepiece, St Magnus Cathedral, or join optional shore excursions to discover Orkney's unique mix of history, archaeology, crafts and wildlife. A mile away, the waters of Scapa Flow, where HMS Royal Oak sunk in WW2, remain an everlasting, ever-shifting reminder of the islands' place in history. Today Astoria will anchor off Stornoway, capital of Lewis, in the Outer Hebrides. Beautiful and unspoiled, the islands have been inhabited for over 6,000 years. Wander through the town, or take the optional excursion to Callanish's mysterious Standing Stones, thought to be nearly 4,000 years old. The island of Mull offers breathtaking scenery, a spectacular coastline and another haven for wildlife. In the small town of Tobermory you'll find picturesque, multi-coloured houses encircling the waterfront and, nearby, famous Duart Castle, the seat of Clan Maclean. Re-board the ship this evening as Astoria continues to Fort William to dock for the night. The climbing outpost of Fort William, at the foot of Ben Nevis, is gateway to the stunning scenery of the Highlands and the Great Glen. Don't miss the opportunity to discover the perfect Highland valley of Glen Nevis, backdrop for movies like Rob Roy and Braveheart, and perhaps take in Fort William's fascinating West Highland Museum. Astoria's next call, in Belfast, brings chances to explore this unique city - where the gleaming Titanic Quarter is a must-see attraction - and the scenic Antrim countryside. Crossing the Irish Sea, Astoria slips outside British waters to visit Dublin, today. The Irish capital has been a thriving cultural centre for centuries. Join the shoppers on Grafton and O'Connell Streets, visit historic Trinity College or head to one of the many cafes, coffee shops, bars and pubs to 'soak up' the local colour. 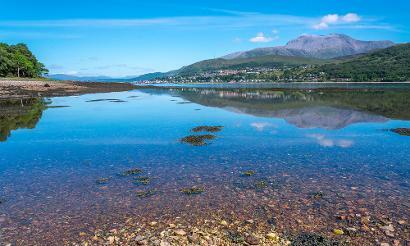 One of Britain's most scenic anchorages, beautiful Holy Loch is your starting point for a day exploring some of Scotland's finest countryside. See Loch Lomond and the Trossachs, explore the Isle of Bute and Inveraray Castle, or venture to the Highlands beyond. You may also have the chance to take a trip to the great Scottish city of Glasgow. Astoria arrives in the delightful Wester Ross fishing port of Ullapool, today. The town is a stepping stone to the Western Isles and the breathtaking North West Highlands, which include Torridon's granite massifs and dramatic, remote Ben Assynt. Step ashore to explore, or take an optional excursion to discover some of Britain's most awe-inspiring scenery. The wild and remote northeast of Scotland greets Astoria this morning, as she ties up in Scrabster, near the popular town of Thurso. The late Queen Mother's Castle of Mey retreat lies nearby, as does John O'Groats, and you'll have the chance to visit the British mainland's most northerly point on an optional shore excursion. Lerwick, the Shetland Islands' rugged capital, is another gateway to an ancient land of legend, traditional crafts and an incredible abundance of bird life. Discover the town, or join an optional excursion to the 3,000 year-old archaeological site at Jarlshof, with its Bronze and Iron Age remains. Enjoy your last, relaxing day enjoying the ship's amenities as Astoria cruises home. Arrive in Tilbury, bid farewell to the crew and your fellow voyagers, and disembark as your cruise comes to an end.